Preethi’s work – involving a 441 sq. 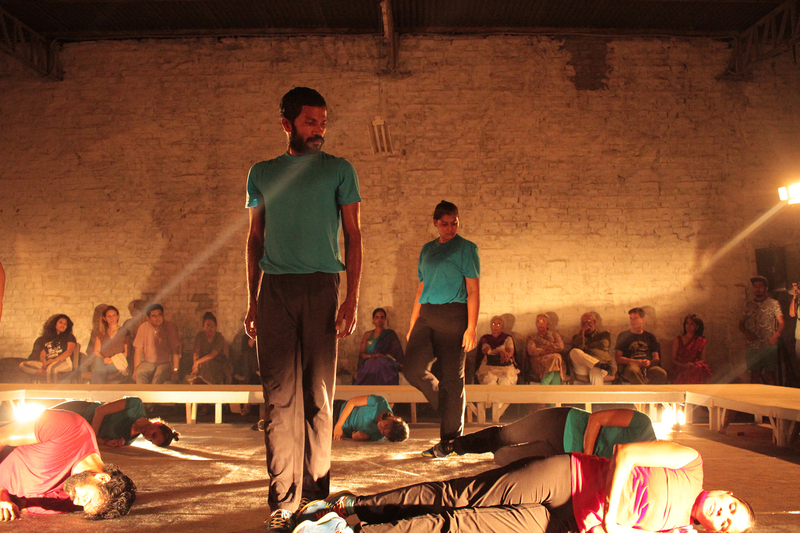 ft. pit, exploring the relationship of the bodies of ten dancers jumping, running, walking and rolling in and out of that pit – represents a certain approach towards politicizing the contemporary body. 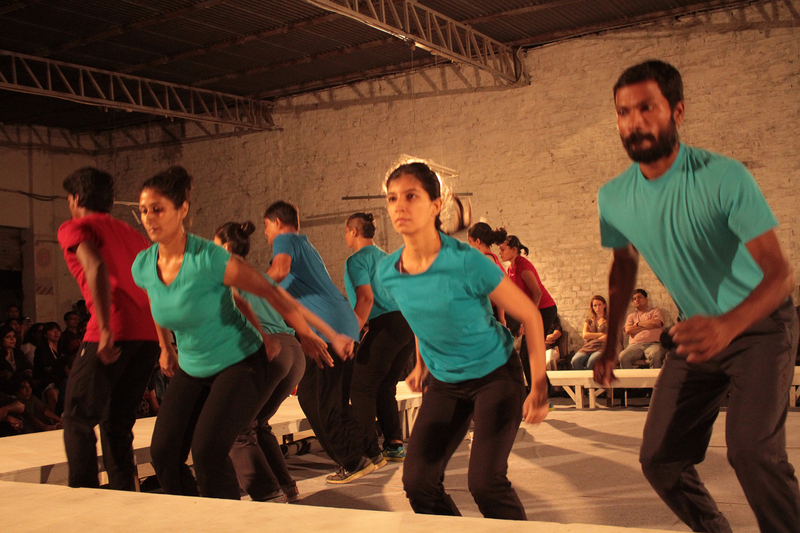 This style bears a distinct mark of the Chennai faction of serious contemporary dancers – it remains true to a sincere search for what a dancing body is, and its politics remains closely tied and faithful to that body – carefully avoiding a certain masking by text or external visuals. But at the same time, if one looks closely, the work also addresses concepts such as of violence and empathy through its choreographic choices, and that of the co-option of art by the present capitalist economy and culture through its ardent faithfulness towards working collectively, exploring immediacy and undecorativeness. 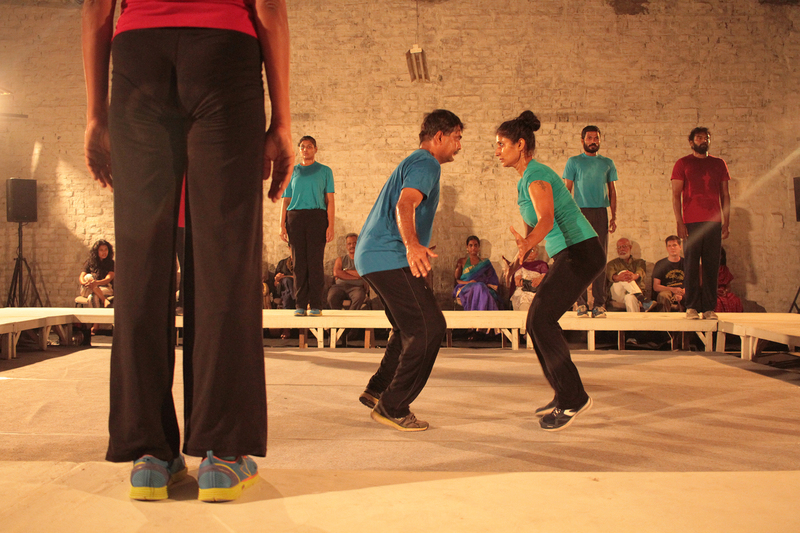 These play important roles in establishing this work as a contemporary, political discourse—especially in today’s world where appropriation and violation of body and intellect have become extremely complex. In possibly a defensive reaction to such complication, some days it feels as if us artists are losing our sense of community and shifting towards a fractured space, consisting of infinitely many closed, nuclear pockets of ideas and ideals. This work opposes that and hints on a proposal of a democratic collectivity. 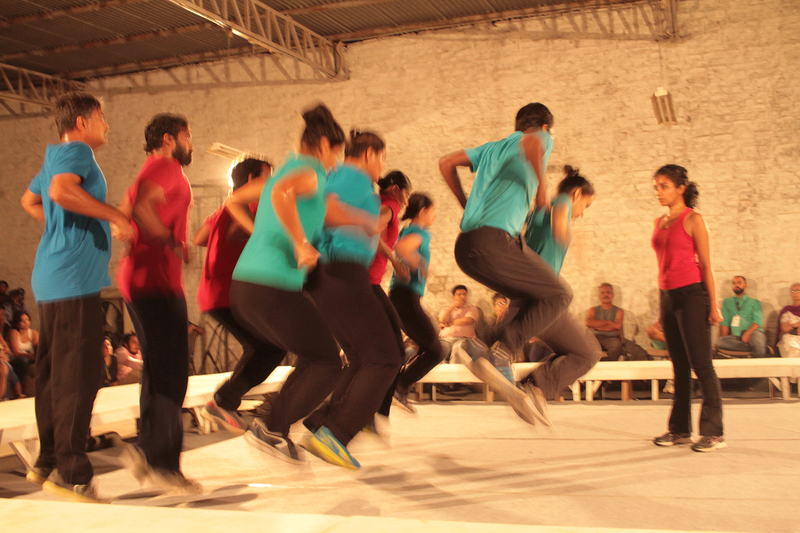 Preethi’s current team comprises of dancers (including Preethi herself), parkour practitioners and theater artists. It is immensely interesting to see these different bodies treating the space and the movement material with very different interpretations and abilities but at the same time a very unified rigour and sense of community.